Lovely lovely sleep last night. I do think the Sleepytime tea helps. No getting up to pee in the night although I drank a glass of water before bed. I woke off and on through the early morning as I was more aware of the traffic outside but didn't fully wake until just after 7. I got up and dressed in my comfies and went out to make a cup of coffee. 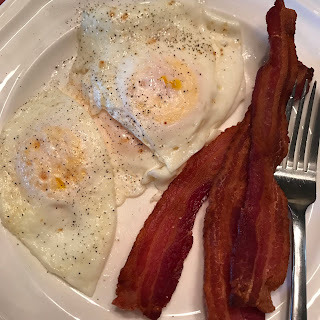 Ma was already on her second cup and I proceeded to have another with creamer and Splenda and Ma then cooked up bacon and eggs for breakfast. After the dishes were cleaned I changed and went for a nice walk. It was warming quickly and was warmer than the weather app was showing. I got in just under 2 miles and met Ma in her courtyard where she was getting ready to do some debris blowing. I put on crop pants and flip flops because it would be almost 90 today, yuk.I had a Lindt truffle on the way out. Mom's pest man came just after 11:30 and when he left around noon we went in for some lunch. 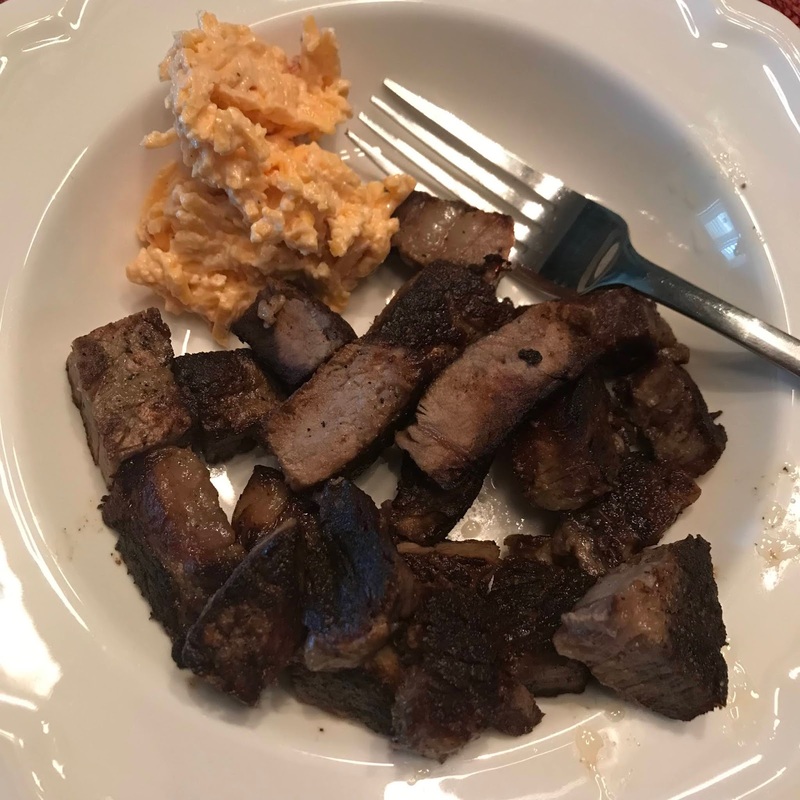 Ma cut up and browned some ribeye she'd cooked the other night and I ate mine with a bit of yummy pimento cheese that she got at Costco. It was delicious with jalapenos in it. We went out and got to cleaning the back flagstone walkway. It grows mildew and turns black and slippery which is so totally unsafe for walking on. I know this is what will eventually get Ma to fall. She went in to call a plumber about her kitchen sink backing up and I chilled for a little bit before we went back out for round two of flagstone cleaning. And now it was hot. I was jealous of Kev and my friends getting to have a little blizzard back home. I do love the cold and snow and one last would have been awesome since we didn't get much this winter. The plumber was done by 3:30. Me and Ma went out for the third and final bout of flagstone cleaning. When done we went in and plopped on the couch with a glass of ice water to cool off. Law I ain't ready for no hot. Ma sat in her favorite chair watching Madea clips and giggling, which made me giggle. I looked at stuff for outside and am excited to get back and go to World Market. 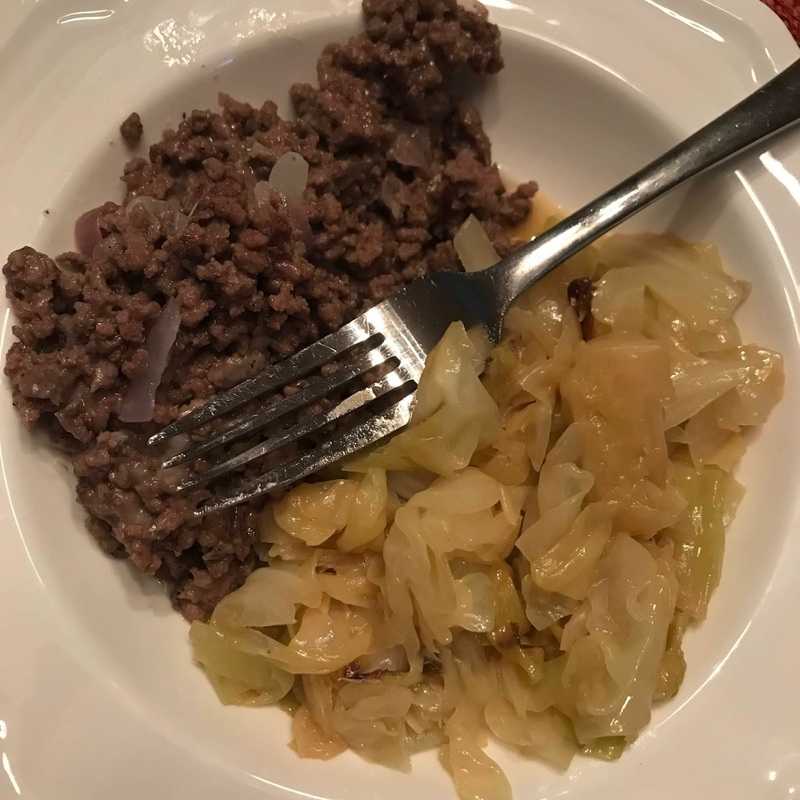 I started getting hungry around 6:45 and got a cabbage cooking. I had thawed some ground beef Ma had and looked through her pantry and fridge to decide what to do with it. I let it brown and saw Provolone and knew. Philly cheese steak beef. Ma cut up red onion that I cooked in the meat and I seasoned with salt, pepper and onion powder before melting in Provolone slices. It was great with that cabbage, which I cooked in butter and salt only. I made us a cup of tea and we watched HG.